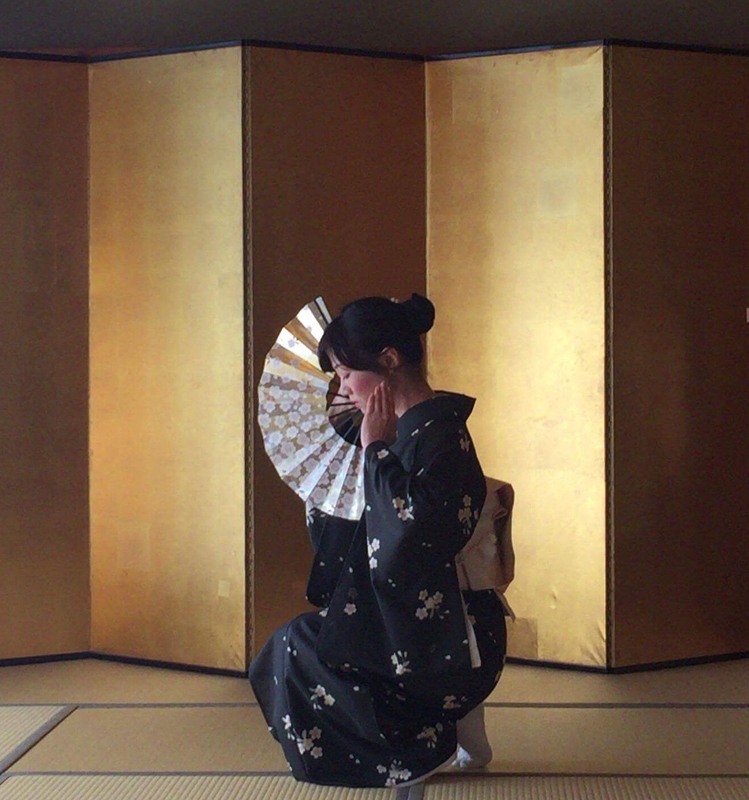 Japanese Dance - okeikoJapan Miyajima - Japanese cultural activities, hands-on experience in Hiroshima! Let's learn basic movements of Japanese dance and try dancing with popular song"Sakura Sakura". Jiutamai is one of the Japanese dance. Jiutamai was born in 19th century, in Edo period. Jiuta music performed by shamisen was inspired by mai dance, so these two genres merged together. It is a very subtle art with special attention to pauses. It was born from the girly manners and interests the girls used to have in the narrow room space, covered in tatami. The most important things are – elegant movements of fingers and shoulders, eyes look, the ability to feel the space with the whole body. 4, See a model of Japanese dance"Sakura Sakura(Cherry Blossoms).”. A lot of cherry blossoms are blooming. They look like clouds in the spring sky. The scent of cherry blossoms comes. Let’s go to the cherry blossoms viewing. Please make your reservation at least one week in advance of the expected experience date. If you would like to do the experience in other dates, please contact us.